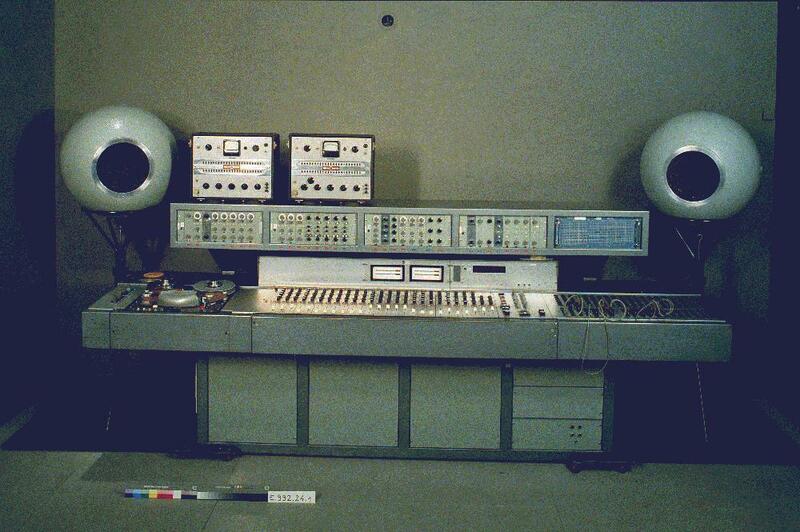 Along with the WDR Studio in Germany, the GRM/GRMC was one of the earliest electro-acoustic music studios and attracted many notable avant-garde composers of the era including Olivier Messiaen, Pierre Boulez, Jean Barraqué, Karlheinz Stockhausen, Edgard Varèse, Iannis Xenakis, Michel Philippot, and Arthur Honegger. Compositional output from 1951 to 1953 comprised ‘Étude I’ (1951) and ‘Étude II’ (1951) by Boulez, ‘Timbres-durées’ (1952) by Messiaen, ‘Konkrete Etüde’ (1952) by Stockhausen, ‘Le microphone bien tempéré’ (1952) and ‘La voile d’Orphée’ (1953) by Pierre Henry, ‘Étude I’ (1953) by Philippot, ‘Étude’ (1953) by Barraqué, the mixed pieces ‘Toute la lyre’ (1951) and ‘Orphée 53′(1953) by Schaeffer/Henry, and the film music ‘Masquerage’ (1952) by Schaeffer and ‘Astrologie’ (1953) by Pierre Henry. 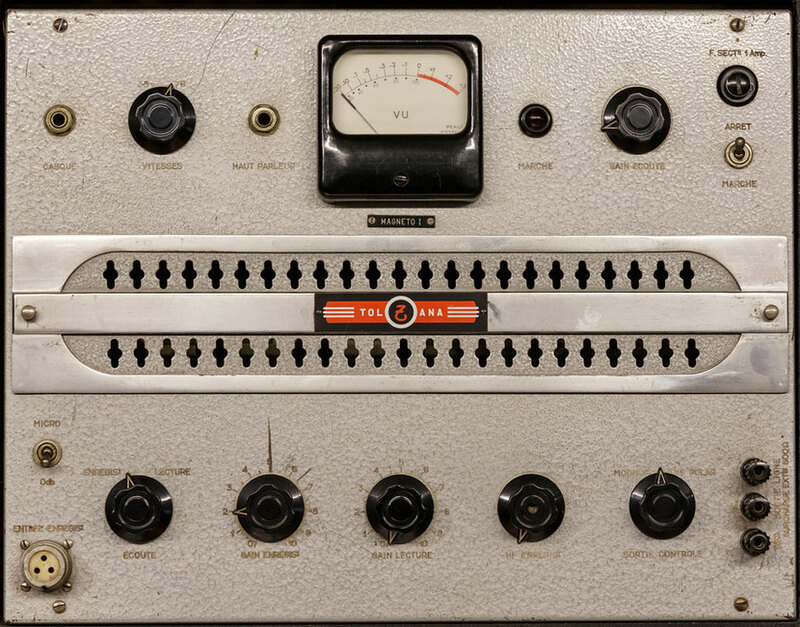 The original design of the studio followed strict Schaefferian theory and was completely centered around tape manipulation, recording and editing. 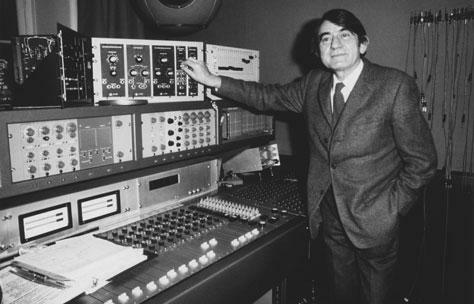 Several novel ‘tape instruments’ were built and integrated into the studio setup including the phonogène (Three version were built; the phonogène Universal, Chromatic & Sliding) and the Morphophone. the Chromatic Phonogène . 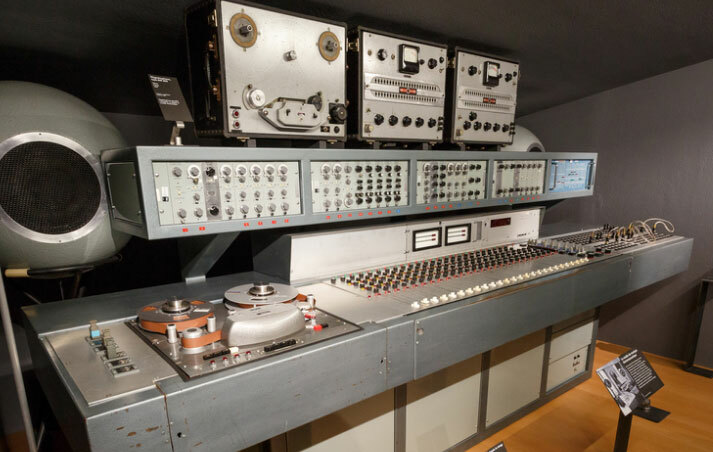 A tape loop was driven by multiple capstans at varied speeds allowed the production of short bursts of tape sounds at varying pitches defined by a small one-octave keyboard. 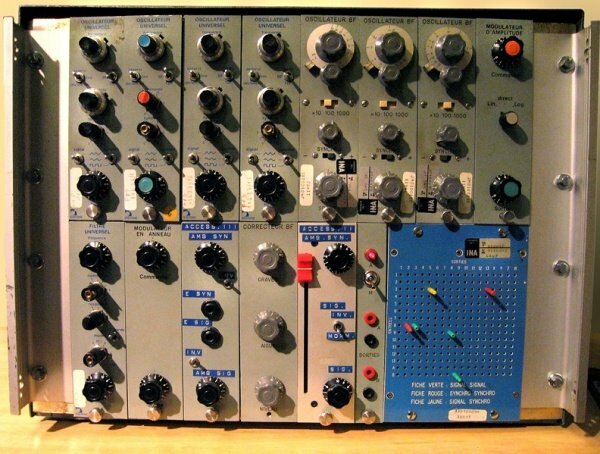 The Morphophone was a type of tape loop-delay mechanism, again designed by Jacques Pollin. 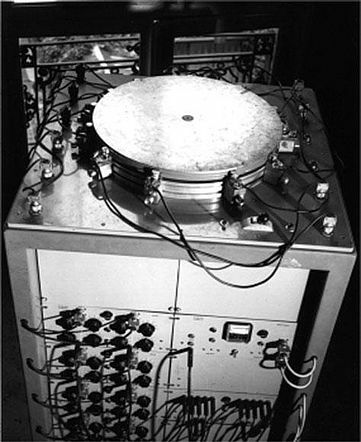 A tape loop was stuck to the edge of a 50cm diameter rotating disk and the sound was picked up at varying points on the tape by ten magnetic heads (one recording, one erasing and ten playback heads). The resulting sound was passed through a series of bandpass filters (for each playback head) and amplified.